iJamming.net » DVD Review: Who Killed The Electric Car? 1) Tom Hanks raving about his General Motors EV1 (Electrical Vehicle 1) to David Letterman. 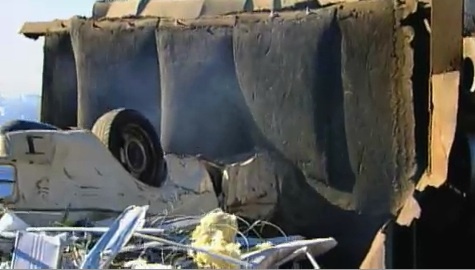 The car, launched in 1996, produced no exhaust, was fast, ran without gasoline and could go 70 miles without recharging. The cars were never made available for purchase, only for lease. Responding to a smog epidemic in the early 1990s, the California Air Resources Board (CARB) creates a Zero Emissions Vehicles mandate that requires car companies to produce a steadily increasing percentage of Zero Emissions Vehicles. Californians Against Utility Abuse suddenly shows up opposing the ZEV Mandate; its backers include big oil. CARB nonetheless agrees to negotiate the mandate, so that car companies only have to manufacture as many cars as there is “interest” in them. The major car companies go ahead anyway and launch a lawsuit against the ZEV Mandate. While still chairman of CARB, Alan Lloyd becomes chairman of the California Fuel Cell Partnership, which favors a rival “clean-car” technology. Four months later, at a controversial hearing filmed for the documentary, CARB effectively kills off the ZEV Mandate. By this point, Toyota has already stopped manufacturing its ZEV Rav-4 (the only ZEV available for purchase), and GM, having already switched its main ZEV plant back to gasoline-fueled cars, announces it will no longer lease its EV1s and sends tow-trucks to repossess from those unwilling to part with their cars. The electric car is dead. WKTEC? then sets about analyzing the suspects in its murder: the car companies, the oil companies, the Government, the consumers, CARB, the hydrogen fuel cell and the batteries themselves. It’s not a pretty picture. 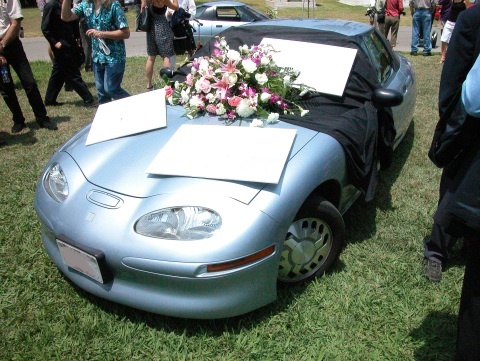 A funeral is held for the EV1. In 2003, the maximum federal credit for owning a 6000lb+ car is $100,000. 6) President Bush in his State Of The Union address from Jan 03. 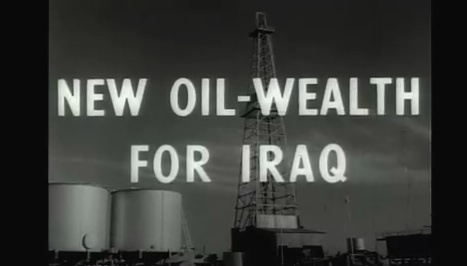 7) An old TV newsreel celebrating the opening of the first Iraqi oil pipe lines in jingoistic, even racist terms. Honda puts its Electric Vehicles through the shredder. So much for progresss. 9) Watching Stan Sochinvsky, noted inventor, discuss the battery he designed for the second generation of EVs, one that would outlast the life of the car. GM had earlier bought a controlling share in his company. After he produced the longer-lasting battery, GM sold its share out to Chevron. GMC-Ovonic became Texaco-Ovonic. The controlling interest in a company whose key premise was to end reliance on the oil industry was now owned by… a vast oil company. Barthmuss’ quote is shown over footage, shot by director Chris Paine from a helicopter, of 50 EV1s that had been driven to GMs proving grounds in Arizona and… crushed. Crushed. It might have been a good alternative title for Who Killed The Electric Car? After all, this is a film that largely follows the (mis)fortunes of a group of idealists, whose hopes, desires, designs, hard work and expectations are all trampled by the corporate status quo. In doing so, Who Killed The Electric Car? is certainly one-sided (Chris Paine himself remains an eager EV driver), but then it’s hard for the modern political documentary not to take a moral position. And as with An Inconceivable Truth, WKTEC? recognizes that while it has a duty as a movie to ‘entertain’ and as a documentary to ‘inform,’ it also serves a higher purpose, to provoke debate and discussion. You’ll find the WKETC? web site loaded with information that both backs up the film’s premise and expands upon it. At the time of writing, there is some genuine excitement out there about the popularity of hybrid cars, the development of more powerful batteries, and the possibilities for plug-in hybrid cars. None of these are pure electric cars, and they all represent a compromise of sorts from the original ideal. But as Chelsea Sexton, who went from being part of GM’s initial EV1 development team to an anti-corporate evangelist for the Electric Vehicle – and who is the nearest WKTEC? has to a heroine – finds herself saying, the death of the EV1 is not so much the “end” of anything as much as the “beginning” of a much longer journey. Who Killed The Electric Car? is out now on DVD.